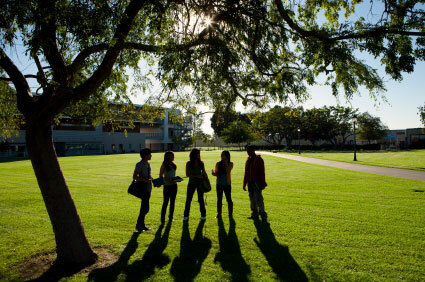 Campus tours are an essential part of the college selection process. College catalogs and orientation packets can only give students a cursory look at what a college or university has to offer. And while a school may look perfect on paper, it may turn out not to be a good fit when you finally arrive on campus. By visiting the college or university in person, you will gain a better understanding of the school and of what campus life will really be like. A campus tour also gives you the chance to interact with current students to see what they have to say about the college you are considering. When you schedule your college visit, make sure they offer a guided tour of the campus. While it may seem unusual, some college visits do not include a comprehensive tour of the campus and facilities. As you are guided around the college, take the time to get a good look at the main buildings and other areas of the campus. Don't be afraid to ask questions of your guide concerning how the campus functions, and what campus life is like for the student body. Your visit to the college campus should include a trip through the admissions offices and financial aid departments, as well as the major classroom buildings and dormitories. There will be a lot to take in on a short visit, but this will give you an idea of how easy or difficult it will be to navigate your way through the college grounds. At this point it is a good policy to question your guide about the state of the campus library, the availability of internet service and the condition of any and all lab facilities you will be relying on when you take up residence. Many colleges and universities offer virtual tours via the internet. While these can be helpful at the initial stages of your interest in a particular school, they can not capture the true atmosphere of a college campus as well as a personal tour. Be wary of virtual tours, and use them only as a way of narrowing down your college choices to the the few that you want to definitely consider. Many campus tours offer visitors the opportunity to sit in on a college class. This is a good way for prospective students to get a feel for what the classroom atmosphere is like at a particular university. While you can't judge an entire college's reputation on the strength of one classroom visit, it can be a good indicator of the teaching style, and level of student class involvement, offered by the college. This will help you decide if the college suits your personality as well as your educational needs. After auditing the class, you will have a good opportunity to talk to some of the current students and question them about the school and about campus life. Most students will speak candidly about their experiences at the college, so be prepared with any specific questions you wish to ask. Keep in mind that the students you approach are between classes, so be sure to ask them if they have the time to chat and try to keep it brief. Many colleges offer prospective students the opportunity to spend a night in one of their dorms as part of their campus visit. This can be a great chance to see first hand what living on campus will be like. You will be able to see what it will be like to share a dorm with other students, and will get a good feel for what living conditions are like on campus. Remember, if you choose to attend the college you are visiting, this is where you will be living for the next 2 to 4 years. While staying overnight in the dorms, be sure to ask questions of the other students, and make notes about what you like and dislike about the college. These notes will come in handy later when you are comparing the pros and cons of the colleges you have been considering. While touring the college campus, take every opportunity to ask questions of the tour guide, faculty and current students. This will help you gather information on the rigors of class work, the study habits of the student body, what is expected of freshman students and what campus life is like in general. The more you know about the college you are considering, the easier it will be to decide if your personality and study habits make a good fit. The key to success in college, is to find the school that best meets your needs as both a student and an individual. Gather all the information you can, review it and compare it with other colleges you may be considering, and choose the school that you feel best suits your educational goals.